Food is the great attraction when I am back here in Kerala and my favourites are simple, home cooked seasonal vegetarian dishes. 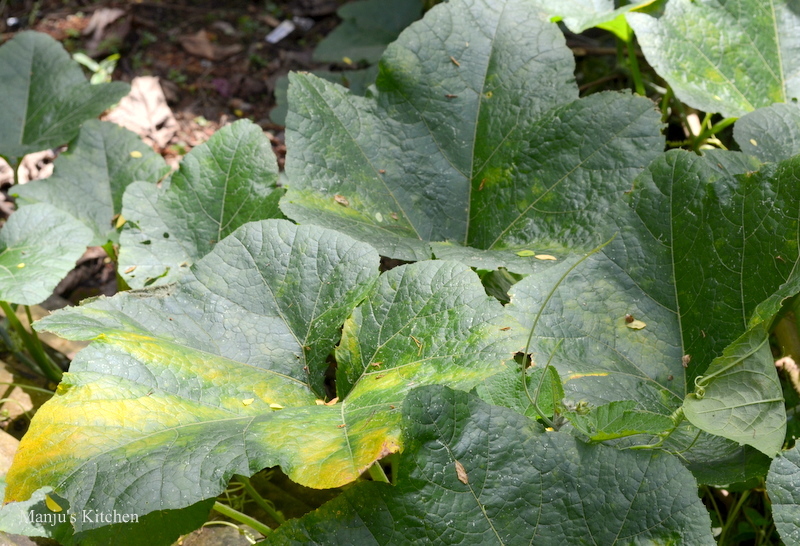 Recently I heard from my sister-in-law that tender pumpkin leaves which she had growing in her garden were eaten during the current rainy monsoon month called Karkkidakom in Kerala, although I have to admit I haven’t seen much rain over the past one month here. The monsoon comes after the hot summer months and is the time of the year that people would rejuvenate their bodies with leafy vegetables, herb porridges (karkkidaka kanji) and with oil massages and baths. 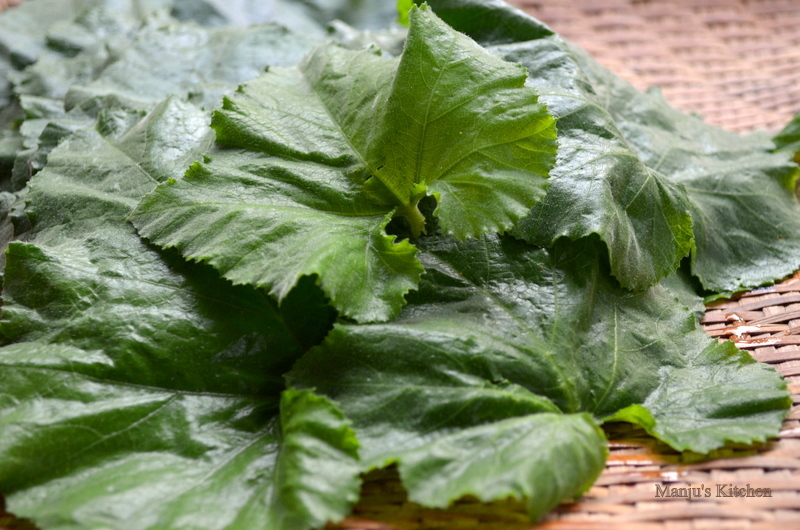 I found out that pumpkin leaves, though uncommon in western cooking, is an important ingredient in South Asian and African cuisine. When cooked they are highly nutritious and rich in vitamin A, iron, calcium and many minerals. Wash and dry the pumpkin leaves and shred into fine strips. 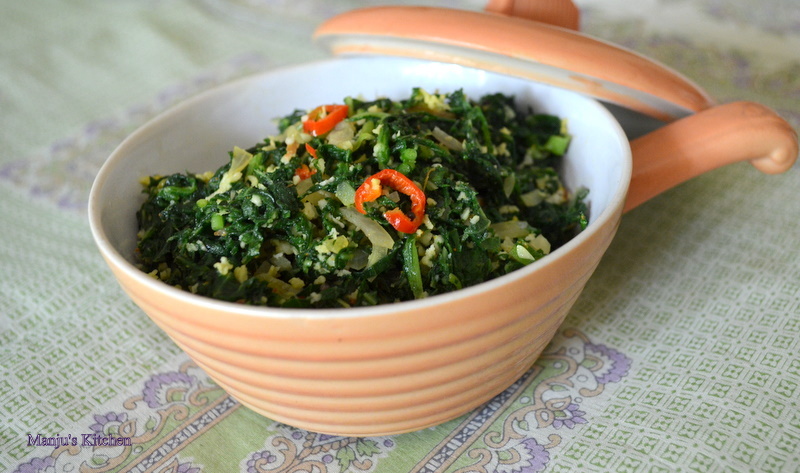 Mix the shredded leaves with the chopped onion, red chilli, grated coconut and turmeric powder. Heat oil in a wok or frying pan and fry mustard seeds until they pop. Add the leaf mixture, enough salt and one tablespoon of water and mix well. Cover and cook for ten minutes until the leaves are tender.